Return to Armenia – Veradardz. What does it mean? I consider Armenia as my ONLY homeland although I was not born in Armenia, lived in many countries and am today a US citizen. 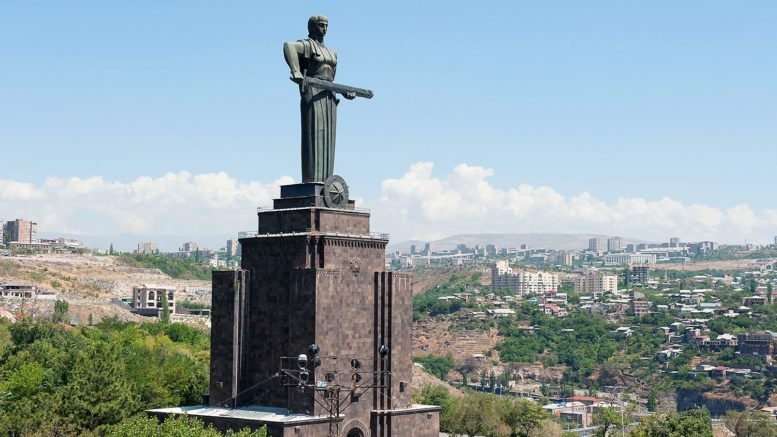 Therefore if I go to Armenia (12 times until now) for one day, one week, one month or 10 years, I am RETURNING to my homeland Armenia or VERDARDZ. When someone says that he or she was not born in Armenia and therefore his or her going to Armenia cannot be called VERADARDZ, that means that he or she does not believe that Armenia is his or her ONLY homeland. Our grandfathers were massacred and thrown out of our homeland. We are exiled from our lands (Մենք աքսորուած ենք մեր հողերեն). Therefore ANY going back to Armenia or former Armenian lands in Turkey for 1 day or forever, is a RETURN to our homeland or VERADARDZ from our EXILE. It is this mentality that my Veradardz TV program talks about. If you folks do not understand and explain this to others, we as a nation are doomed, considering the huge trend of intermarriage and assimilation in the Diaspora and emigration from Armenia. Please watch Alec Yenikomshian’s 5 minute speech in Moscow (see below). Alec is a long time ASALA member, a true patriot, is one of the leaders of the Pre-Parliament movement, born in Lebanon, returned to Armenia and lives there permanently for more than 25 years. Return to Armenia Veratarts is not an imaginary and romantic idea as Mr. Astourian says. Whether someone is born in Armenia or not, going back to Armenia is VERATARTS that is a first step of our people’s unification. It is a fundamental principle and if our educators and intellectuals do not understand that and go to Armenia and say things that differentiates or separates themselves from Armenia, then that has to be criticized, whoever or whatever that person is. Because that is exactly what the present regime wants, creating divisions between Armenia and the Diaspora, and this separation weakens us and helps our enemies and can encourage emigration from Armenia. This is NOT a personal attack against anyone, it is a fundamental difference of ideology as to who we are in the first place. And regarding the Armenian Genocide and Hai Tad, how can we have any demands from Turkey if we do not consider Armenia, historical and present, as our ONLY homeland, and hence the fundamental right for the Return or Veratarts to our homeland? NO ONE emigrates to another country, especially a “risky” country like Armenia, without first going there a few times and doing an evaluation. And if he decides to buy a house there and go there for a few months a year, that is also Veradardz. If we put a condition that ANY Veradardz should be permanent, then we are creating restrictions and reasons for not going to Armenia. We have to encourage everyone to visit Armenia as a first step, do something there and keep in touch. The world today is different. You can live permanently in one country but do many other things and help Armenia. Armenians must build an Armenian identity worldwide. AND WHEN I GO TO ARMENIA AND WORK ON VARIOUS PROJECTS, I DO IT NOT because I am a US citizen or an American, BUT BECAUSE I AM AN ARMENIAN. It is this kind of ideology that must be spread within Armenians worldwide. Jews realized that after 2,000 years. You want us to realize that after 2,000 years as well? In 100 years, Jews built a country from zero to a population of 6 million, and Israel today is one of the most powerful countries in the world in all fields. This impossible achievement was not done by apathetic people, but by people with vision, faith, dedication and hard work. By not encouraging all of us to go to Armenia and do something for the country whether you live there permanently or for a very short time, we are isolating and dividing ourselves and we are doing what our internal and external enemies want, the result of which will be Armenia without Armenians or something like that. Any going back to Armenia for any period of time is VERADARDZ because no one can pre-determine ones final destination. Neither Armenia nor the Diaspora do not seem to have this approach towards Armenia and understand what I, Alec Yenikomshian, Prof. Armen Ayvazyan, Vatche Thomassian and repatriates to Armenia are saying.